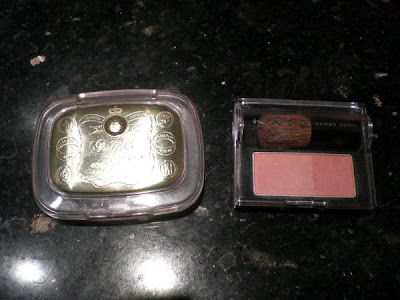 On the left is my old blush, Majolica Majorca PK333. The case is bought separately, it originally just came in a small plastic container. On the right is my new Kate Cheek Color PK-1, which comes with its own mini-brush. The MJ blush is a bit more orange than the Kate blush, and there are also two different tones in the Kate blush: the lighter part contains higher amount of shimmer than the darker part, but they are the same color. I tried the blushes on my cheeks together. On your left is the Kate blush, and the right is the MJ blush. Underneath the blush I am wearing a layer of loose powder. 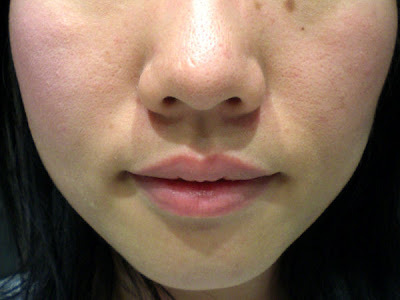 This is the Kate blush with both colors mixed together and applied. It is quite shimmery, without being outright sparkle-town or looking oily. 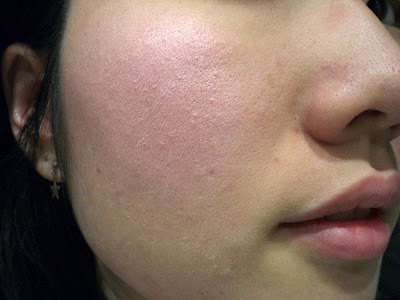 I imagine that it would look much better over proper foundation though, as it seems to highlight my large pores. 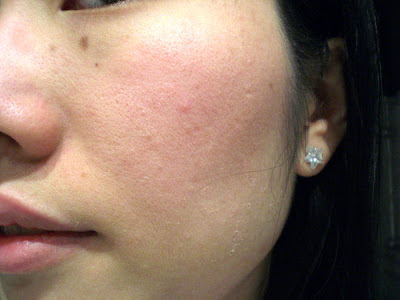 This is the MJ blush, which is very natural even with heavier application. 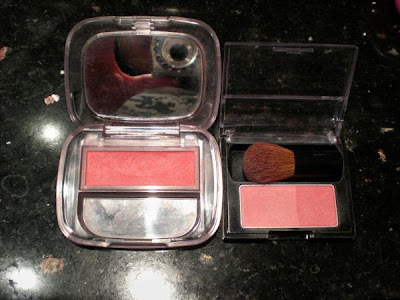 This blush would be good for my no-makeup days, and it is quite long-lasting too.